Mary Shelley practically invented science fiction in 1818 with her novel featuring Dr. Frankenstein and a very interesting monster. If you haven’t already read the classic, now’s a good time to pick it up – and if you have, try one of these works to learn more about the creator and her creation. If you’re looking for a personal or business legal form, don’t try to Google one up – you’ll either get a site that offers only generic forms, or you’ll get one that requires a payment. Instead, if you’re a TFPL cardholder, you can get access to one of our newest database subscriptions: Law Depot. 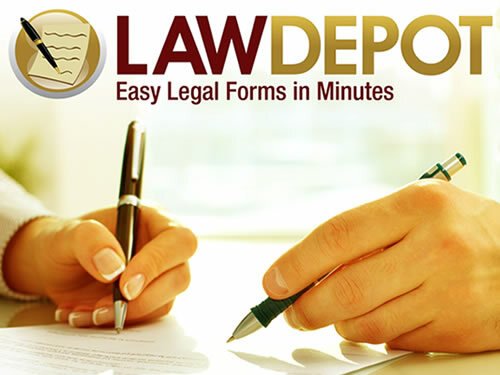 With Law Depot, you can create an account that will let you personalize your documents – whether you need to craft a power of attorney or a lease agreement. When you’re finished, you can save, download, or print the document. And, the best thing – there’s no charge! Call the Reference Desk at 208-733-2964 ext 200 or email us at tfpl@twinfallspubliclibrary.org for more information. As we review items to add to the Library’s collection, we often see cycles of similarities – the same sort of beach scene on the cover, or a mass influx of cat mysteries, or even titles that mimic each other. One trend we’ve seen lately is history being told through different objects. Some of these are on a large scale – like world history – while others take on more specific events or ideas. Regardless, it’s fun to see what objects are chosen, what they represent, and how they’ve had an impact. Offers a visual perspective on the Civil War as reflected by artifacts ranging from a soldier’s footlocker and the Emancipation Proclamation to leaves from Abraham Lincoln’s bier and Grant’s handwritten terms of surrender at Appomattox. A collection of poems through history inspired by objects–earthly and celestial–reflecting the time in which each poet lived. From George Washington’s dour gaze to the charging buffalo of the western frontier and Lindbergh’s soaring biplane, American stamps are a vivid window into our country’s extraordinary and distinctive past. In this unique and eye-catching book, popular Catholic author and EWTN host Mike Aquilina tells the Christian story through the examination of 100 objects and places. An offbeat history of the world traces the story of humankind from the Stone Age to the twenty-first century from the perspective of six different drinks–beer, wine, spirits, coffee, tea, and cola–describing their pervasive influence during pivotal eras of world history, from humankind’s adoption of agriculture to the advent of globalization. Brotton examines twelve world maps from global history from the mystical representations of ancient civilizations and the fourteenth-century Mappamundi to the satellite-derived imagery of today to show how, by reading them, we can better understand the worlds that produced them. Neil MacGregor’s radio series ‘A History of the World in 100 Objects’ has been a unique event that has set a benchmark for public service broadcasting in the UK and across the world. This book is the tie-in to that event, reproducing the scripts describing the objects that made us who we are. Annotations courtesy of NoveList Plus; except for those denoted (*), which come from the publishers. Log in to NoveList Plus for more great book info for all ages with your TFPL card.